The Hyperion work boot uses Anti-Fatigue Technology that features molded, inverted cones that support, collapse and return in key pressure zones, providing higher energy return, and resulting in all-day standing comfort and support. It is ideal for construction, electrical, industrial and manufacturing work. 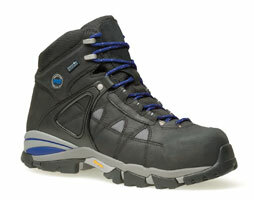 This lightweight, waterproof boot will help workers stay on their feet longer.